What are the best essential oil brands? No, let’s rephrase that – don’t you want to know what THE best essential oil brand is? The top dog? The leader of the pack? The one that crushes ALL other options? Sorry to be a buzzkill, but you won’t find that in this article. Because as I mentioned in article 1 of this series the best essential oil company for you may be different than what it is for me. So, I won’t be revealing the one best essential oil company that ends the discussion. What we’re going to do in this article is present a variety of reputable essential oil companies (some, not so much) and then let you decide what will work best for you and your family. Really, that’s the best way to go about this. You gotta “do you”. But before we get started I want to create some clarity on what we’re looking for with these essential oils brands. Let’s get one thing out of the way first: just because a company/brand appears on this list does not mean that I’m vouching for them or saying that they are one of the best essential oil brands. Not the case. I included the most searched companies on this list to give some clarity on brands that the majority of people are asking about. If you’ve got one you’d like us to add to the list, just hit us up in the comments below. Money isn’t everything, but this is one of the most searched questions about essential oils brands. What’s the price? Whether you’re on a super tight budget and you’re looking for cheap essential oils or you want the creme de la creme (which can come at a higher price), we’re going to compare the different options here. One thing to note with price is the quantity in the bottle. Just know that we’re comparing apples to apples here. We’re not comparing one company’s 2 mL bottle with another company’s 5mL bottle of the same oil. Ya dig? I highly doubt you want to spend your time ordering essential oils from multiple companies – or running errands all over town if you’re buying locally. No thanks. Depending on what you need, you may want to shop with a company that has a wide variety of options – or if you know that all you want is lavender essential oil to make your laundry and home smell nice…well, variety isn’t really that important. Our insights on selection will help you understand what you can expect in terms of oil options that you have available. Purity or quality is important too. Whether you’re looking for organic essential oils or you want to use them for some kind of therapeutic benefit the quality is really important because it’s a huge factor in the results that you get. And if results is what you’re after then quality should be what you’re after, too. We’ll share what we’ve discovered on essential oil quality for each company. A+: Out of this world value, quality and experience for customers. Ideal for using essential oils for therapeutic benefit and for those that want to make essential oils use a lifestyle. These companies often go above and beyond in customer experience as well. A: Really great value and quality. These oils are perfect for therapeutic benefit and for those that want to use as a lifestyle. They may not offer some of the perks and other nuances of higher rated companies. B: Above average compared to other brands but falls behind other companies that outperform on quality, value and customer experience. These oils are still good (but may not be the best) for therapeutic benefit. C: Average. This company falls in the middle of the pack. Not the best and not the worst. Often there are substantial opportunities to improve in one or more areas. These oils are typically best used for their aroma or what I call “smell good” oils. Use for therapeutic benefit likely won’t get results that you’re happy with. D: Below average. There are way better options to choose from. Avoid. F: I wouldn’t give these oils to my worst enemy. Now let’s dive into the different essential oils brands! You’ve seen NOW essential oils before. NOW started as a natural products company and they’ve been around since 1968. So, they’ve been into the healthy food and lifestyle business before it became a cash cow. Their claim to fame is carrying health products for low prices. So it’s not super surprising that their essential oils are probably the least expensive on the market. They have a medium sized selection to choose from. If you’re looking for the more popular products like where to buy lavender oil then they’ll have what you’re looking for. 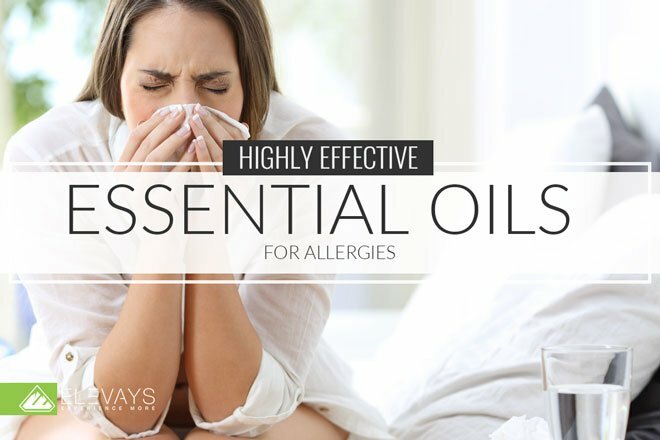 If you’re looking for a more wide variety of essential oils, including blends for specific issues then this isn’t the best company to choose from. They have all the basic tests listed on their site: GC-MS, FTIR, Refractive Index and Specific Gravity. They even have chemical data sheets listed with some of their essential oils in a downloadable PDF document. I’m not sure how useful that is since it’s not tied to a specific batch of oil that the end user is purchasing. It doesn’t necessarily mean that your batch of essential oil will have the same chemistry. What I did notice is that they don’t have any information (from what I saw) on where the essential oils are sourced. I’m a geek with this stuff so it’s something that I like to know. NOW essential oils have been in Whole Foods and natural health food stores for a long time . They are also all over the internet so you should be able to source them easily. I highly recommend buying directly from NOW or a store like Whole Foods if you’re going to use their essential oils. I wouldn’t trust random Amazon sellers or other sites where you don’t have good info on who you’re buying from. 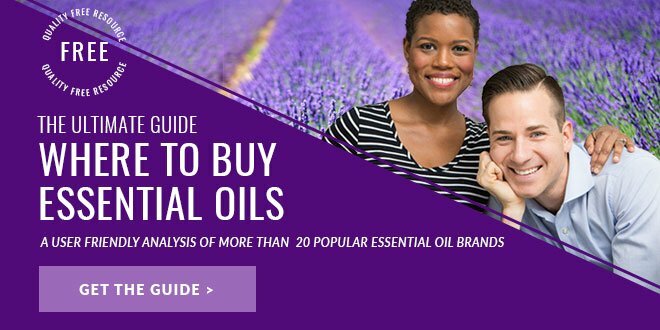 Essential oils are highly adulterated and one way you can avoid an essential oils scam is to buy from a reputable company (both online and off). The Bottom Line: NOW Essential oils are cheap. Cheap doesn’t always mean low quality, but there’s not really a good explanation for $12 Frankincense. And since essential oils is a highly subjective (and adulterated) market, it is a cause for pause. So, just something to keep in mind as you’re considering this brand. There’s not a whole lot of information on Miracle Essential Oils from what I can see. It looks like the brand was started in 2015 (according to the Facebook page). The about page feels like it was written for a big corporation – but the branding/marketing has more of small business feel. It’s hard to pinpoint what Miracle Essential Oils is all about or even what makes their brand special. *Note: They don’t actually carry a 15 mL bottle of Frankincense. It’s 5 mL, but to compare to other brands (apples to apples) I did the math to figure out the price for 15 mL. They do have a small to medium sized selection to choose from. You will likely find all the popular staples and they even have what I consider “specialty” oils like Copaiba. But there are definitely gaps with their single oils selection. They do, however, have quite a few of their own blends to choose from. So, if their blends are the bomb then maybe it’s worth it to try a few. They do run specials each month so you may be able to snag a few bottles at a discount. They have all of the basic testing represented on their site: GC-MS, FTIR, Refractive Index and Specific Gravity. But there’s nothing really special there. They also don’t share any information with respect to their sourcing or their method for extracting each particular essential oil (that’s something pretty common on other sites). Bottom Line: Miracle Essential Oils doesn’t really leave a lasting impression. The selection is okay, the info on quality is okay and the price is… a bit pricier compared to other brands on the market. Overall I’d say Miracle Essential Oils is okay. I’ll start by saying up front that I haven’t tried any of their oils. This is more of about my experience as a potential buyer. I decided that I wanted to try one of the Miracle Essential Oils blends since it’s a brand that people ask about so much. So, I went to their Facebook page and sent them a message asking what their most popular blends are. They responded within a few hours – a big plus! Sleep and Bliss were some of their best sellers. So, I headed over to the site to check out what essential oils are in each blend. Those sounded like two that would be great to try. When I first checked out the Sleep Blend I noticed that the first ingredient was Glyceine Soja Oil. Unfamiliar with that term, I checked it out in the EWG Skin Deep Database – that’s my go-to when I come across an unfamiliar ingredient. Soybean oil. Not my fave. It’s cheap, it’s highly genetically modified (GMO), known for disrupting hormones and I’ve never seen it mentioned by any reputable source as a good carrier oil. So…not a fan of that. And I’m not a fan of the fact that it was the first ingredient listed on the blend. Ingredients are typically listed on packaging in order of prevalence. Going by that (very standard) rule that means that most of the bottle is soybean oil. No thanks. Upon further investigation I noticed that many of their blends have weird ingredients. The Energy Blend is another that’s made with soybean oil. The Immunity Blend contains caprylic triglyceride an emollient that comes from coconut oil and glycerin. It seems relatively harmless, but why not just use fractionated coconut oil? It’s recognized in the industry as one of the best (if not the best) carrier oil because of its particle size. It helps essential oils transport into the body through the skin. The other thing that was kind of annoying about the experience is that they don’t have a search feature on their site (at least not at the time of this writing). Granted, they don’t have a huge selection of oils so I’m not scrolling and scrolling through pages but still-it’s a convenience thing – and pretty standard for online shopping. After looking into this brand further I can’t say that I would purchase from them. It’s hard not to like Plant Therapy Essential Oils. Off the bat, the website has an approachable, family friendly feel that I really liked. Learning more about the company I discovered that it’s a family owned business (love!) and you can tell that they care about their company and most importantly, their customers. First impression: very good vibes. *Note: They don’t actually carry 15 mL sizes. They have a variety, but these numbers were calculated by multiplying the 5 mL size in order to compare (apples to apples) to other brands. They have a large selection of single oils, blends (which they call Synergies) and even a line of essential oils just for kids called KidSafe. Plant Therapy Oils also have a wide variety of organic essential oils. What you may also find helpful is that they sell their oils in multiple sizes. So there’s a range between 5mL and 100mL depending on what you need. That can be helpful to keep costs down for more premium oils or to load up on oils that you use all the time. They have information on their site about the steps that they take to ensure quality when supplying their essential oils. What was missing for me is that beyond the GC/MS test, they don’t share specifics on what tests they run. They are a few more I’d like to see, like Refractive Index and FTIR. These are pretty standard tests for essential oil quality. What I will say is that they have partnered with Robert Tisserand, a well-respected essential oil authority on safety. He is also who they linked arms with to come up with their KidSafe line of essential oils. They also use third-party testing which is a good sign. Bottom Line: There’s not really anything negative you can say about Plant Therapy Essential Oils. I haven’t tried the oils personally, but I loved what I saw on their site. It’s user friendly and very clear that they are all about the customer. They even offer free shipping in the U.S. and internationally (for orders over $50). Plus, they have a generous return policy. It seems like a great line of essential oils to try out. Stay tuned for the next article in this series. We’ll be reviewing more companies that are highly searched. 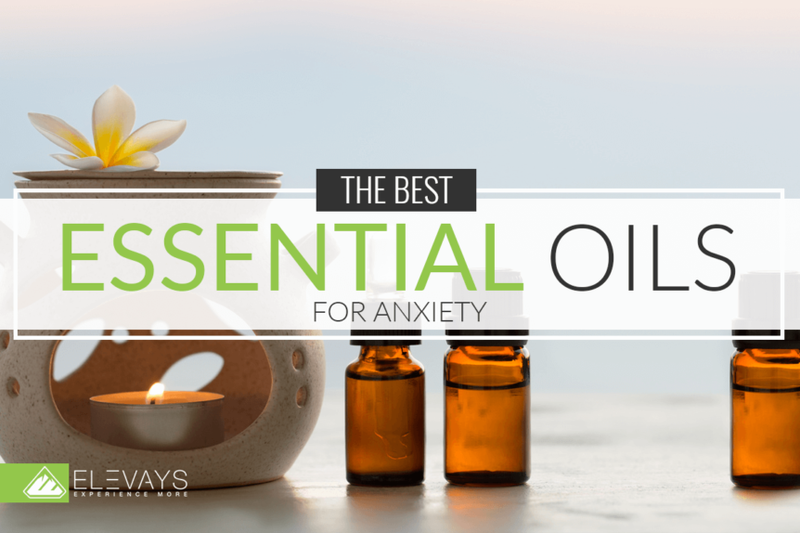 Have you tried any of the essential oils on this list? If so, what are your thoughts? Hi, have you ever researched New Directions Aromatics?